By 2025 the consumer’s television experience will be unrecognizable: personal, immersive, dynamic, unrestricted, and continuous. Get the full story. 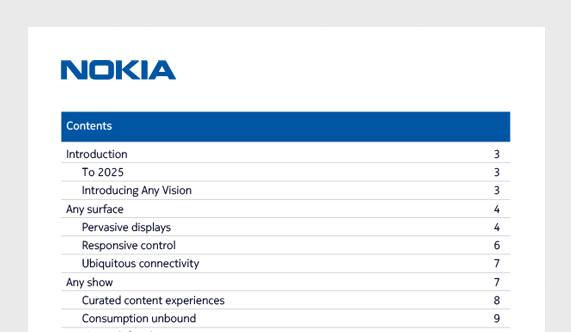 Any Vision is Nokia’s inspiring glimpse at the future of television about a decade from now. 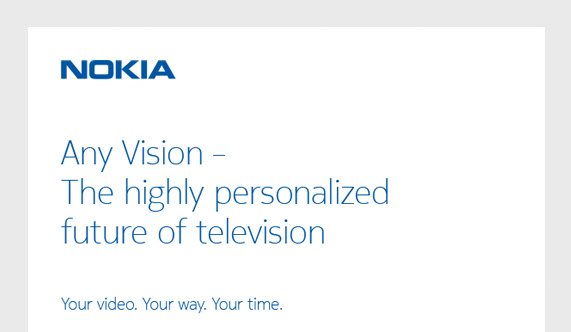 Driven by groundbreaking technological change, we see a highly personalized future of television. 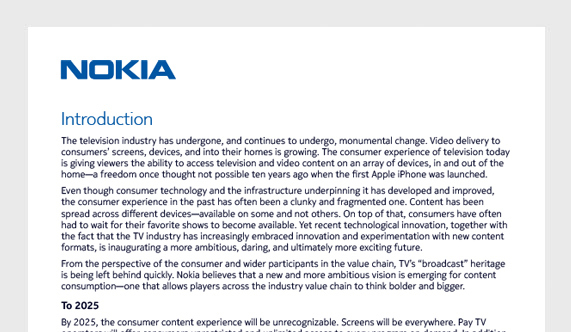 Any Vision heralds an unprecedented transformation that will have a dramatic impact on consumers and operators alike. 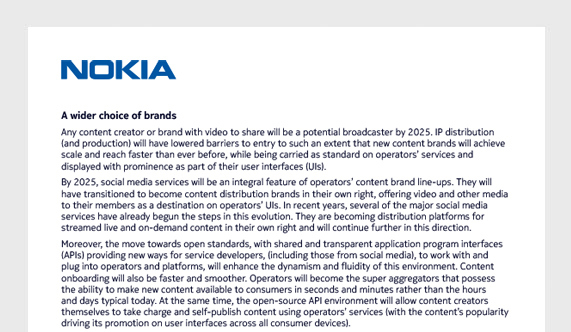 This thoughtful white paper makes bold predictions. By making the right decisions now, you can be ready for a future with limitless opportunities.